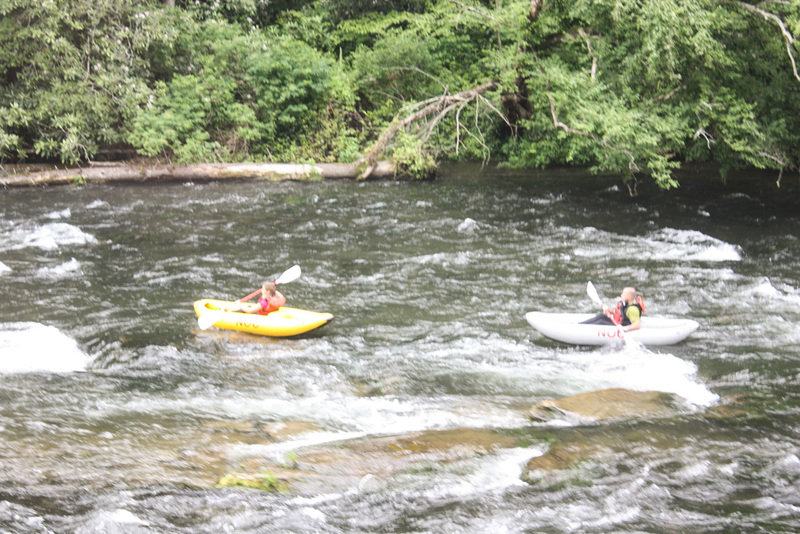 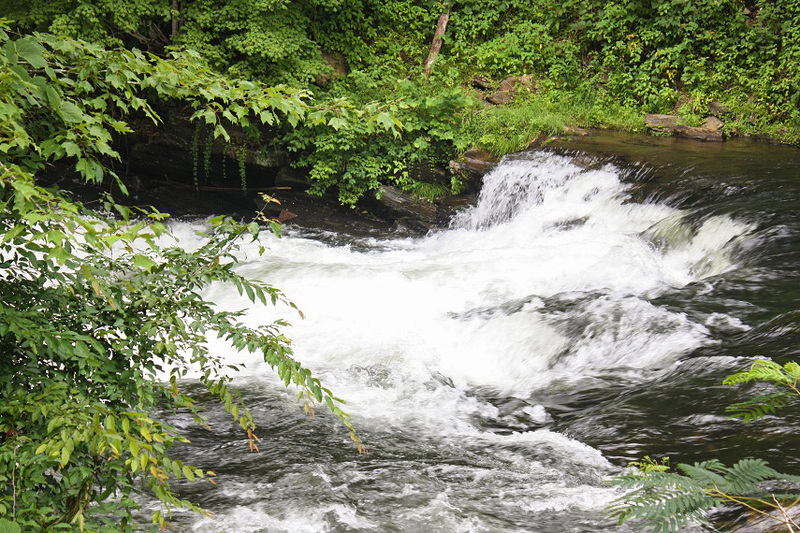 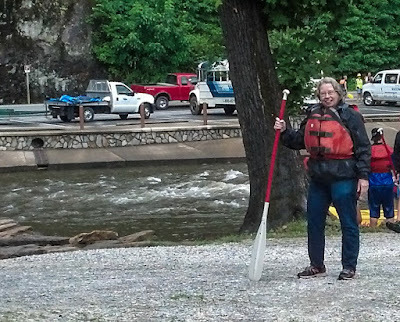 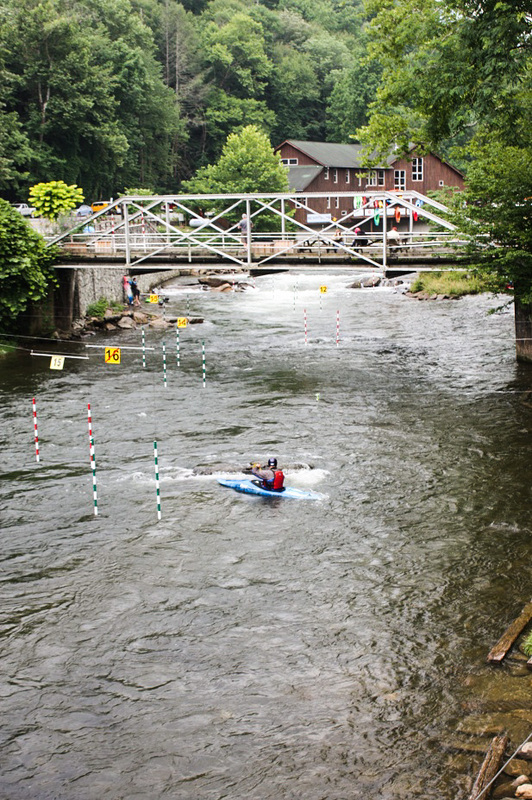 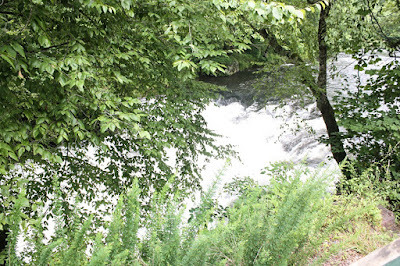 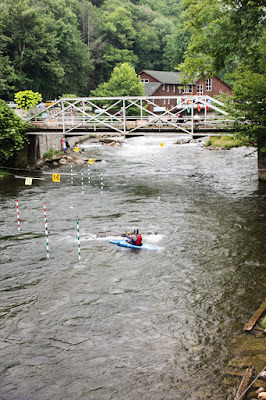 One day Joanie and Jacob took a white water trip down the Nantahala River. Master of the rapids but just a bit wet. 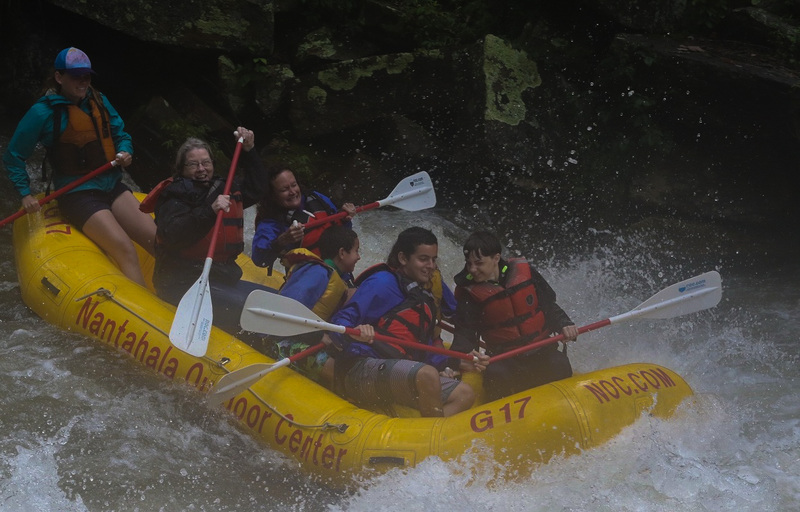 (Check the grin on Joanie's face; you don't think she had a great time, do ya?). 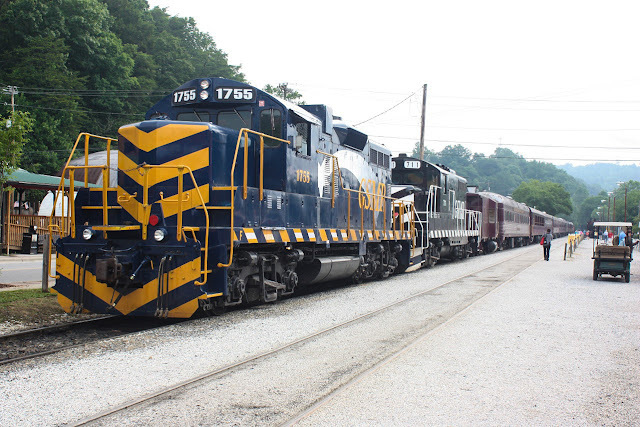 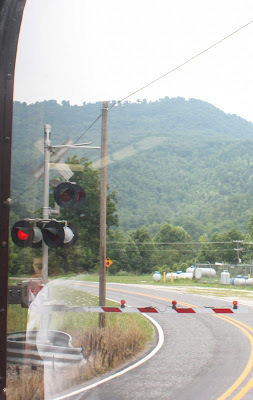 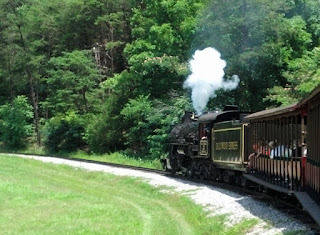 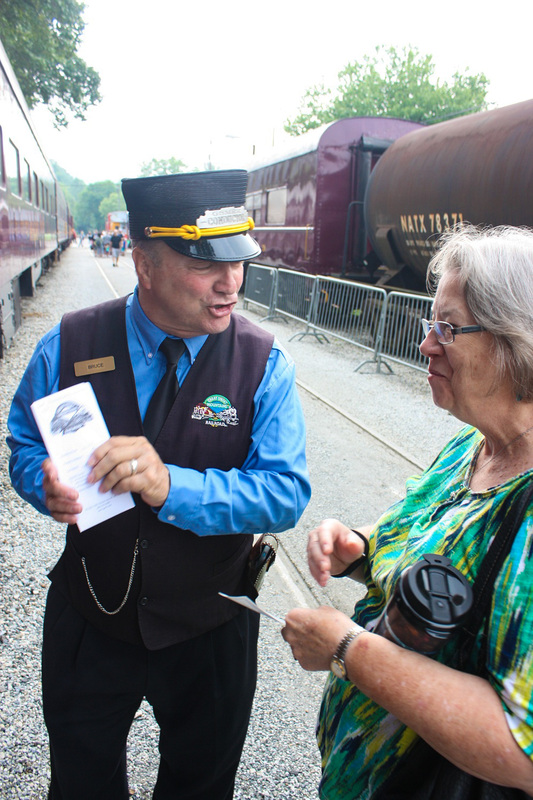 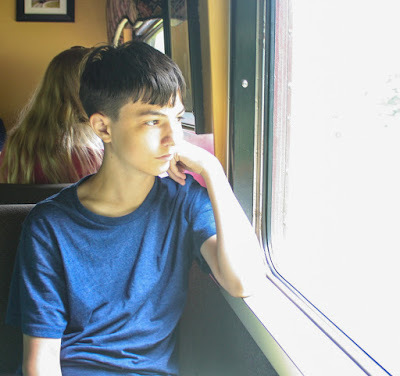 In Bryson City we purchased passage on The Great Smoky Mountains Railroad. 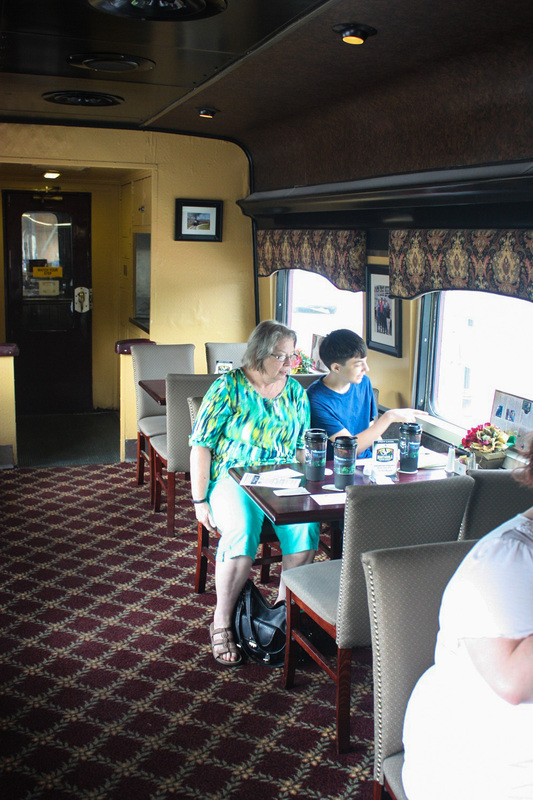 Joanie had to give the conductor her ticket. We took the Nantahala Gorge excursion. 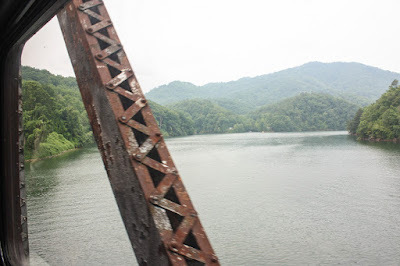 44 miles to the Nantahala Gorge and back again over the Little Tennessee and Nantahala Rivers across Fontana Lake and into the magic of the Nantahala Gorge. 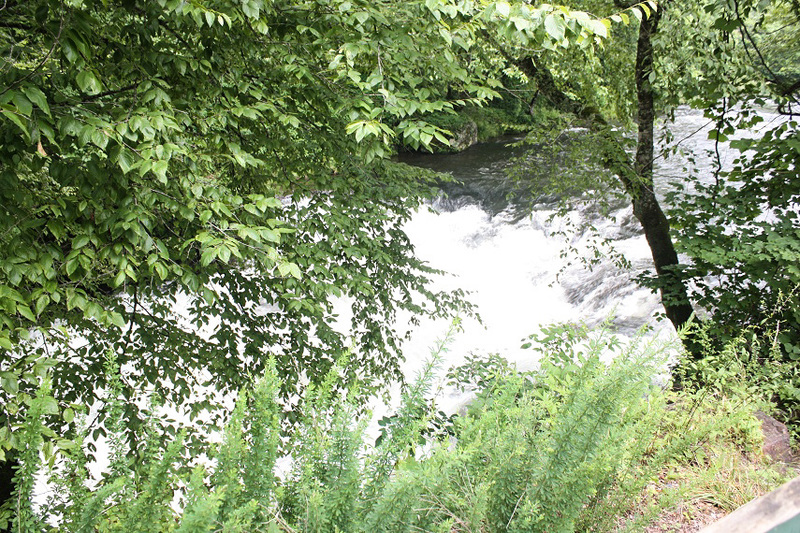 This spot is called Dehart's Cove. 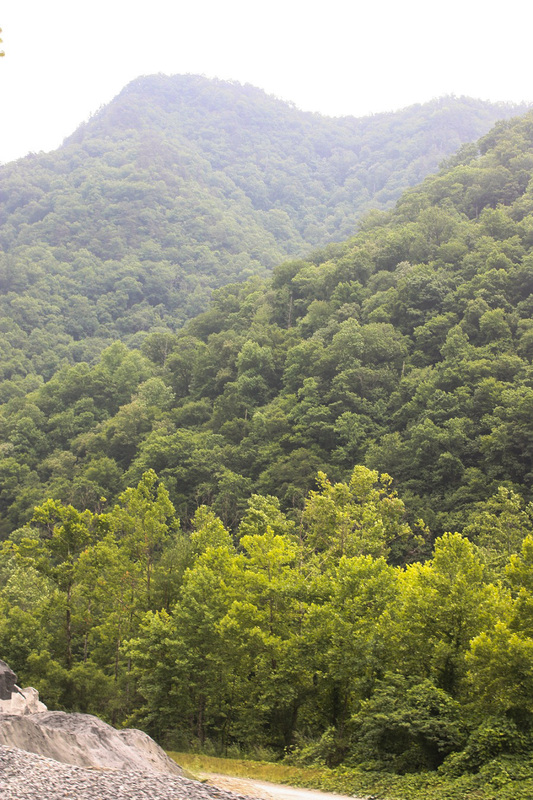 A "cove" in the mountains is a cleared, grassy area. When Fontana Dam flooded the country side along the Nantahala and Little Tennessee Rivers, the TVA granted permits for floating houses to some of the locals who were displaced due to the creation of the lake. These permits were passed down to family members who still maintain summer "cable" homes on Fontana lake. 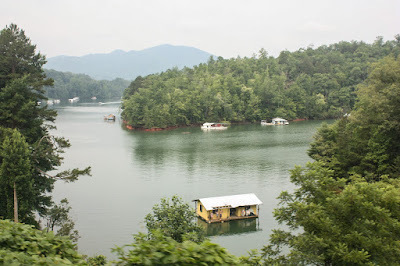 Because the lake level is lowered 40 to 70 feet every year in anticipation of the spring snow melt, the houses are tethered by a cable so that they can float freely during the fall and rise of the lake. 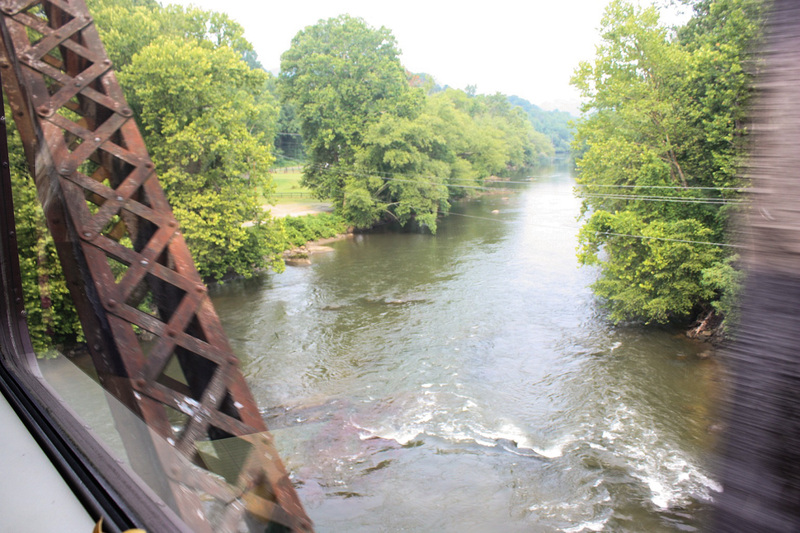 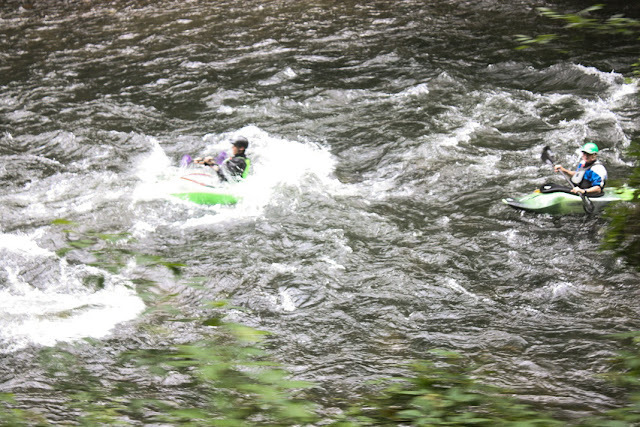 From the window of the train you can see kayakers taking on the white water in Nantahala Gorge. 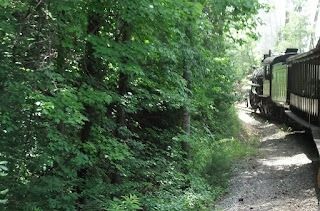 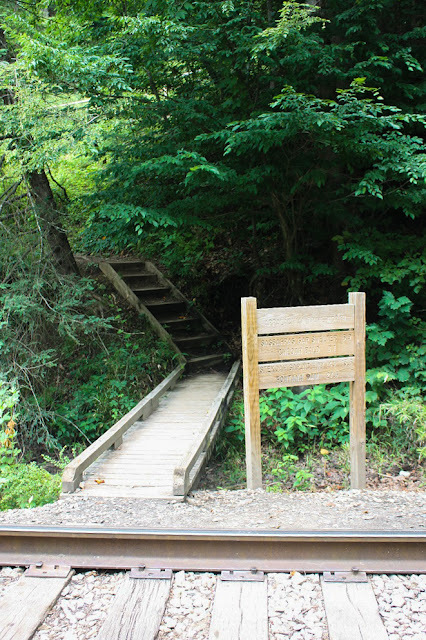 The Appalachian Trail crosses the Nantahala River and the Great Smoky Mountains Railroad tracks at the Nantahala Outdoor Center. Trail hikers were easy to spot: they were the ones with large back packs, long shaggy hair and a general look of fatigue and determination. 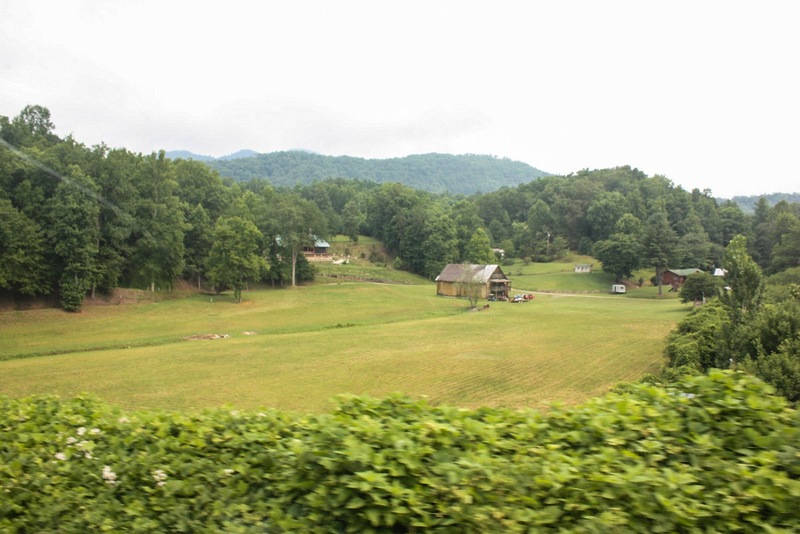 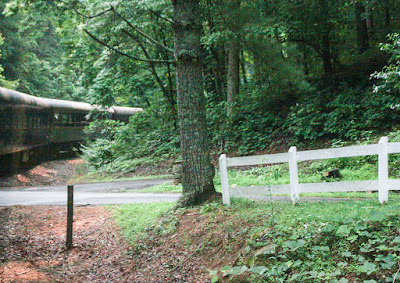 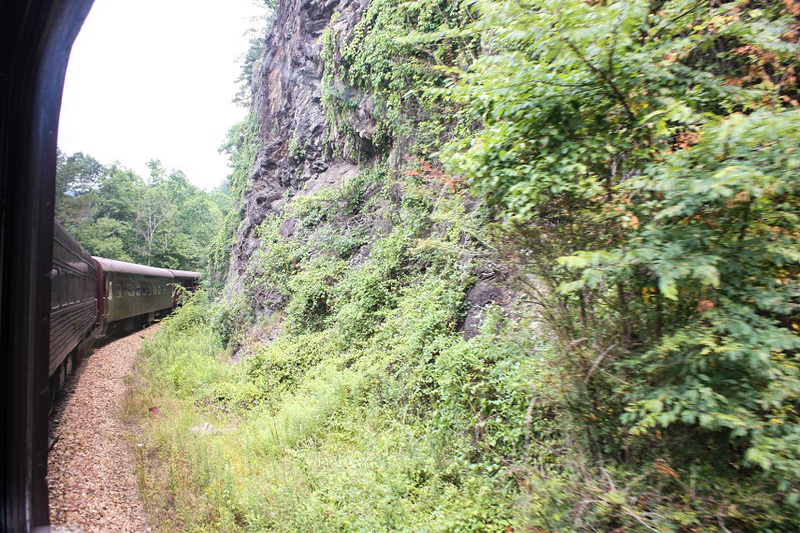 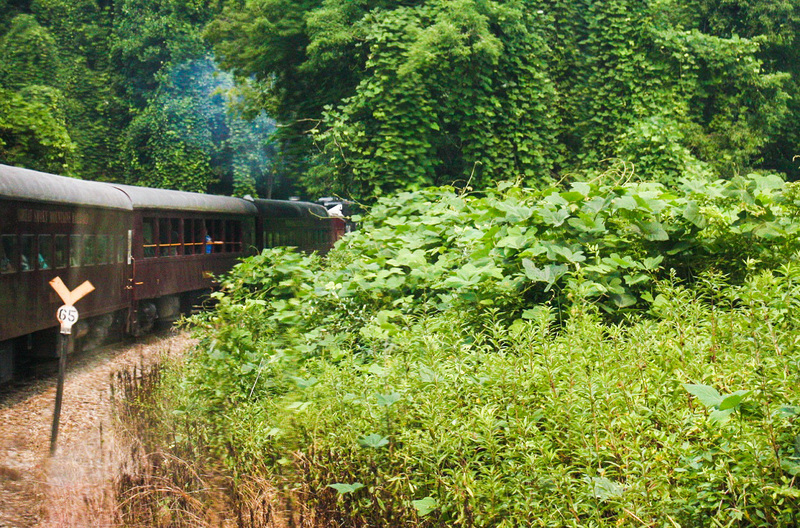 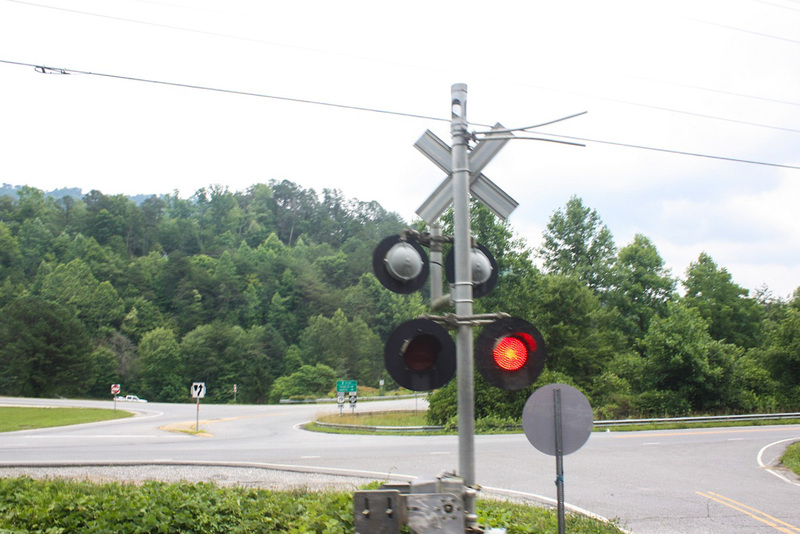 The train stops at the Nantahala Outdoor Center. 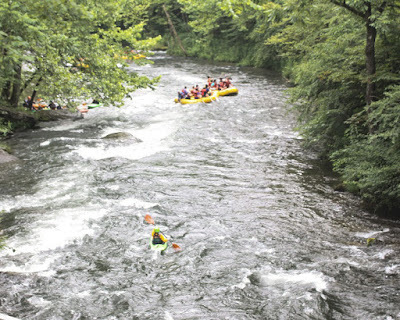 This where you can go white water rafting and zip lining. 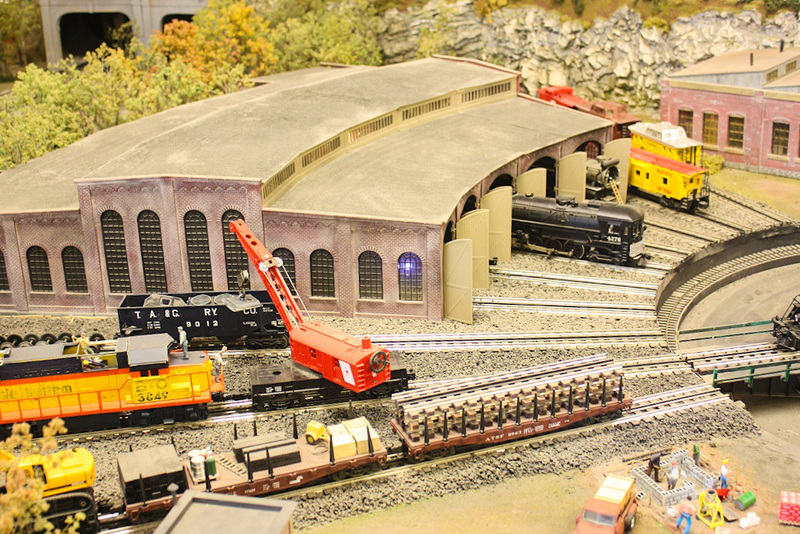 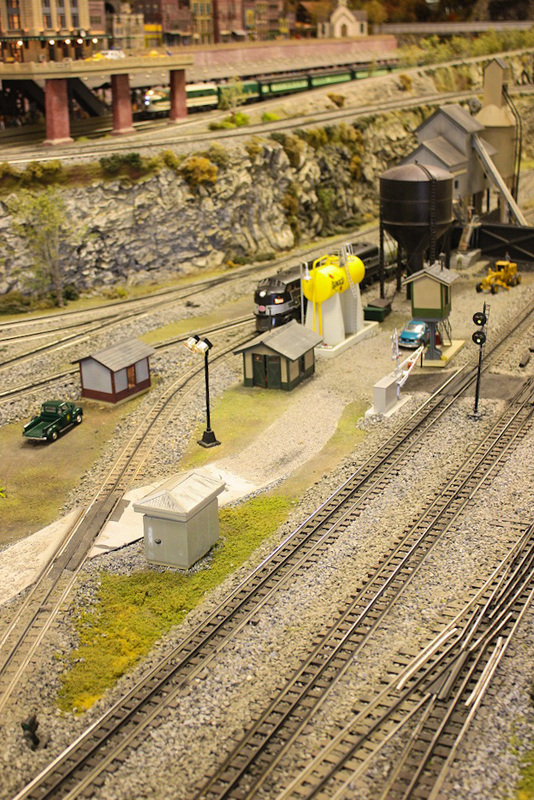 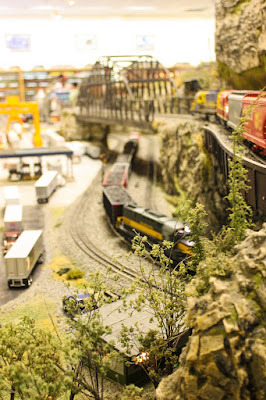 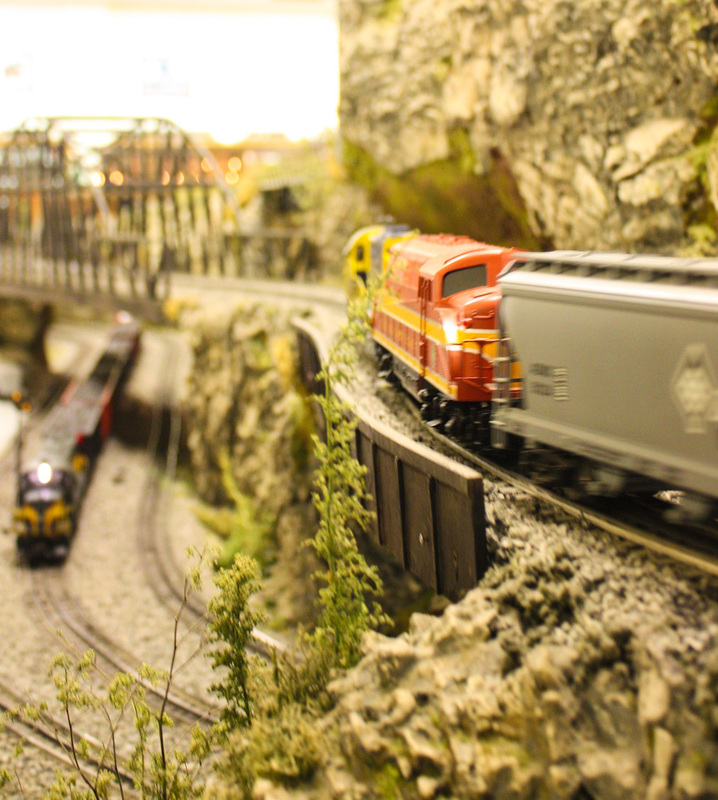 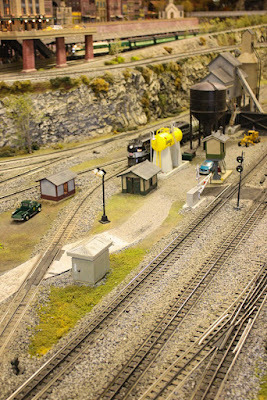 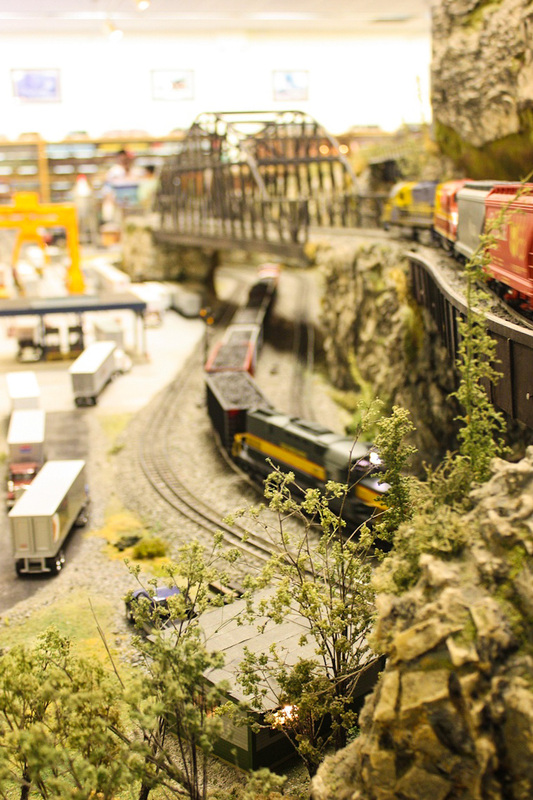 At the depot in Bryson City there is a wonderful train museum that features a huge collection of Lionel trains Lionel model train layouts. 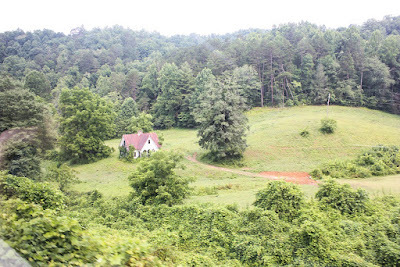 We arrived in Cherokee via US-19 which is an old mountain road with miles of blind turns and 7% grades. 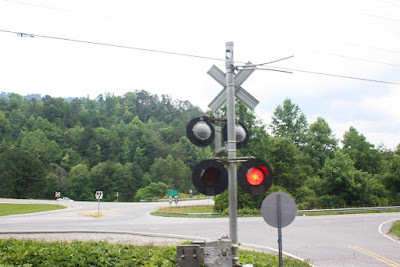 Accidents on the road are common due to idiots who get distracted and cross over the twin solid yellow lines. 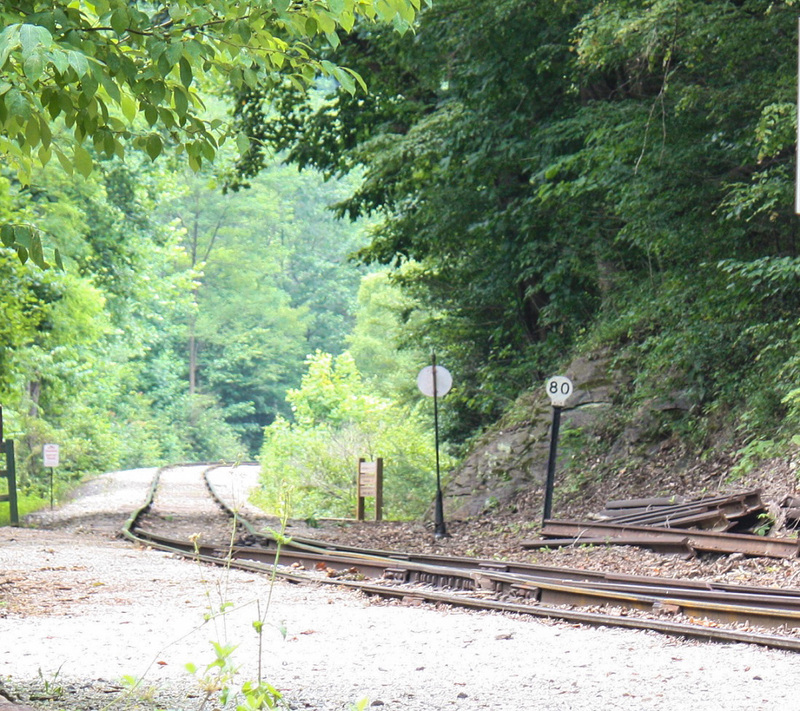 Because there are no shoulders, the road is completely blocked for sometimes hours. 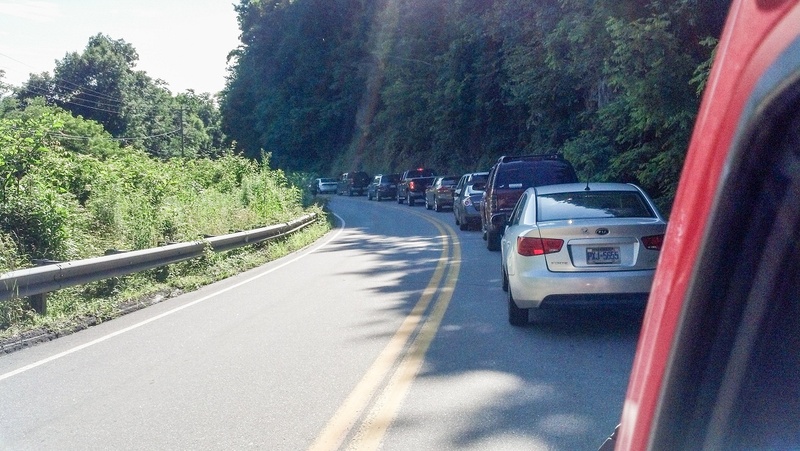 Be patient, take a nap, talk to your fellow motorists. It's a good idea to carry something to snack on and drink when traveling in the mountains. 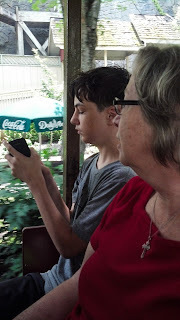 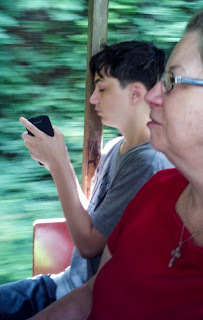 On another day we took a trip to Dollywood in Pigeon Forge, TN. 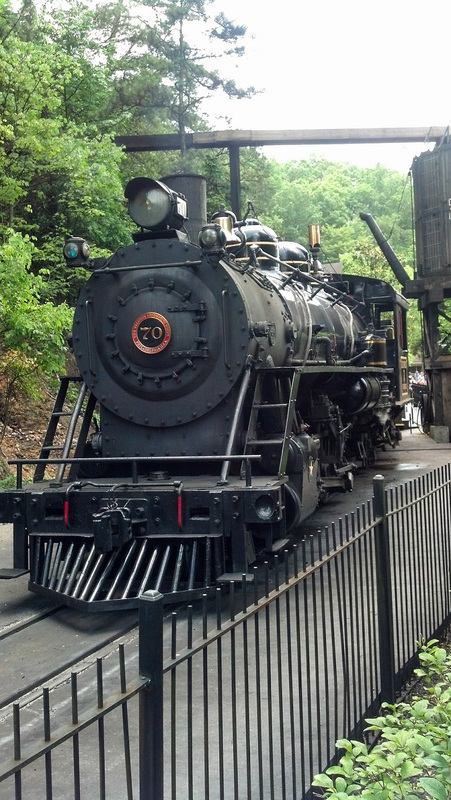 My favorite attraction at Dollywood is this narrow gage Mikado 2-8-2 Baldwin. It burns 2 tons of coal a day. Throughout the theme park you can smell the sweet coal smoke and hear the haunting train whistle echo off the mountains.